In its efforts and commitment to promote the environmental awareness and in order to implement the related activities of Reducing Emissions from Deforestation and Forest Degradation Program (REDD) among concerned individuals and institutions in Sudan, SECS organized a 8-days workshop (Participatory Learning and Action, PLA). 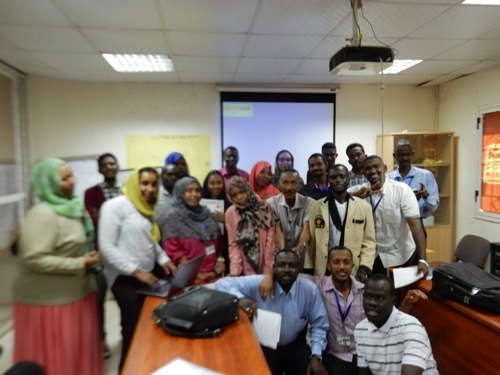 The workshop took place in SECS’ training room in Khartoum between the periods 8th to 14th January 2019, followed by one day pilot field test. This workshop aimed at building capacities of the trainees in PLA. The workshop was attended by 25 participants representing REDD volunteers (research assistants), some SECS’ branches representatives and SECS’ head quarter volunteers.